Corp! magazine is always ready to celebrate Michigan’s economic successes. With our Most Valuable Professionals/Most Valuable Millennials/Most Valuable Entrepreneurs Awards, we recognize a group of individuals who have contributed to our state’s economic well-being in myriad ways. The roster of winners ranges from architects to attorneys to nonprofit organization leaders. These professionals are making business happen in Michigan, serving their community, demonstrating strong leadership skills in growing and managing a successful business, becoming industry experts and delivering lucrative business results. The 74 winners were honored during an April 27, 2017 awards celebration at the International Banquet Center in Detroit. 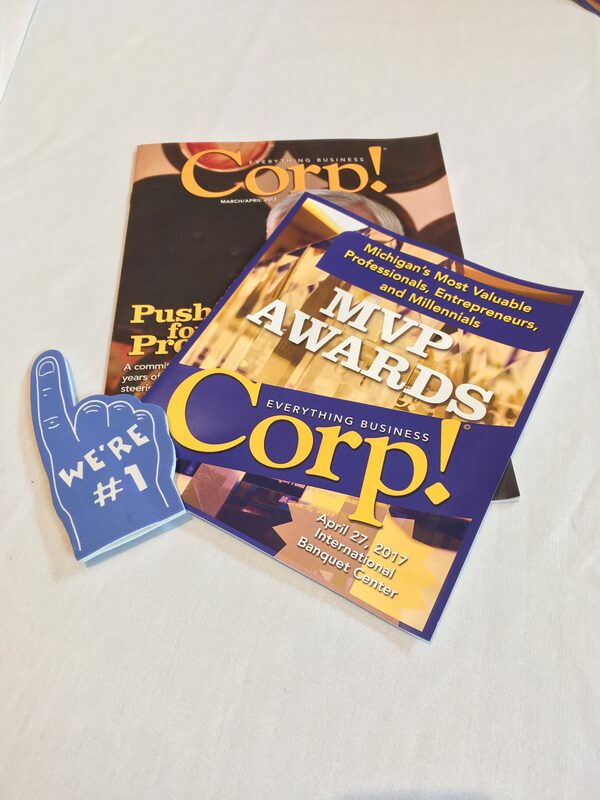 Read about how this award came to be in the Imagine Communications blog, Awarding Team Efforts.